When the Dallas Cowboys released defensive end Marcus Spears in March, he was designated as a post-June 1 cut, giving the Cowboys $2 million in salary cap space. Well, the team gets that extra money now, and, added up the savings with the pay cut tackle Doug Free accepted, the team picked up $5.5 million in savings. The Cowboys can use this extra cap space to take care of middle linebacker Sean Lee, who is entering the final year of his contract, and maybe even outside linebacker Bruce Carter. The team can also make moves to secure the services of wide receiver Dez Bryant or grab another free agent. It’s doubtful the Cowboys extend Bryant and Carter right now considering each has two years left on their deals. But Lee seems to be a logical choice and talks could happen during training camp and continue through the season. Marcus Spears wasn’t out of work for long. The defensive end, who was cut by the Dallas Cowboys on Wednesday, announced Friday on Twitter he is now a member of the Baltimore Ravens. The contract Spears finalized with the reigning Super Bowl champions, a two-year, $3.55 million deal, was reported by multiple outlets. 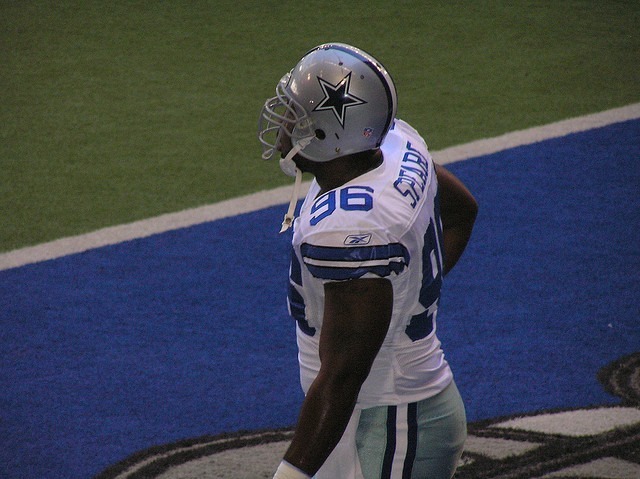 Spears, 30, was one of the Cowboys’ longest tenured players. He was set to make $2 million in base salary this season and count $2.7 million against Dallas’ salary cap. The Cowboys will designate Spears as a post-June 1 cut, meaning they can spread the $2.1 of dead money — a total equivalent to the guaranteed bonus remaining on his contract — over the next two years. The savings, $2 million this year, won’t be credited until after that date, and as a result the Cowboys are still roughly $175,000 below the payroll ceiling set by the NFL. Selected in the first round of the 2005 draft with the 20th overall pick, Spears became a fixture in the Cowboys’ defensive line. He started 89 games with Dallas and recorded 10 sacks, 50 quarterback pressures, and 19 tackles for loss. In 2011, he signed a five-year, $19.2 million contract. But soon thereafter he was demoted and used mostly as a reserve. Eventually Spears, who started only six games last season, became expendable when the Cowboys hired Monte Kiffin as defensive coordinator in January and decided to switch to a 4-3 scheme. Once picked by former coach Bill Parcells to be one of the linchpins in the team’s 3-4 system, Spears now didn’t have a role that suited him. In Baltimore, where the defending Super Bowl champions predominantly deploy a three-man front, he should find fit in more comfortably. IRVING, Texas – This one has to hurt, at least emotionally. From Day 1, Cowboys head coach Jason Garrett has preached the importance of building your team with “the right kinds of guys,” meaning guys with high character, guys who love to play football, guys who understand the importance of team. So for sure, releasing eight-year veteran Marcus Spears on Wednesday just had to strike at his core beliefs. The Dallas Cowboys decided today (Wednesday) to release defensive end Marcus Spears, one of their longest-tenured players. Spears, 30, was scheduled to make $2 million this season and count $2.7 million against the salary cap. With Spears gone, the Cowboys will lose one of their most charismatic leaders. Selected in the first round of the 2005 draft nine spots after DeMarcus Ware, Spears became a fixture in the Cowboys’ defensive line. He started 89 games with Dallas and recorded 10 sacks, 50 quarterback pressures. In 2011, he signed a five-year, $19.2 million contract. But soon thereafter he was demoted and used mostly as a reserve. Marcus Spears’ eight-year run in Dallas is over. Spears, the 20th overall pick in 2005, was scheduled to make $2 million in 2013 in the third year of a five-year deal and would have counted $2.7 million against the salary cap. His release in June will save the Cowboys $2 million this season, though he will count $700,000 in dead money. Spears will count $1.4 million against the team’s cap in 2014. 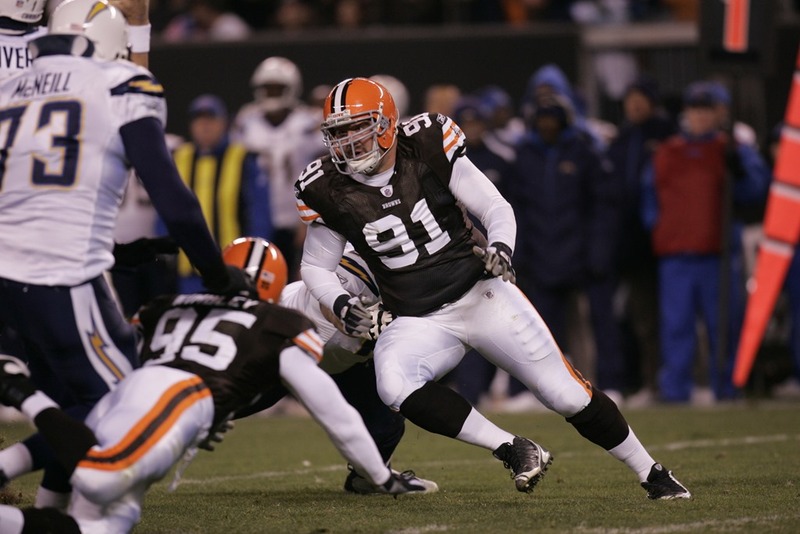 Spears started 89 games in his career, making 314 tackles, 10 sacks, 50 quarterback pressures and four forced fumbles. 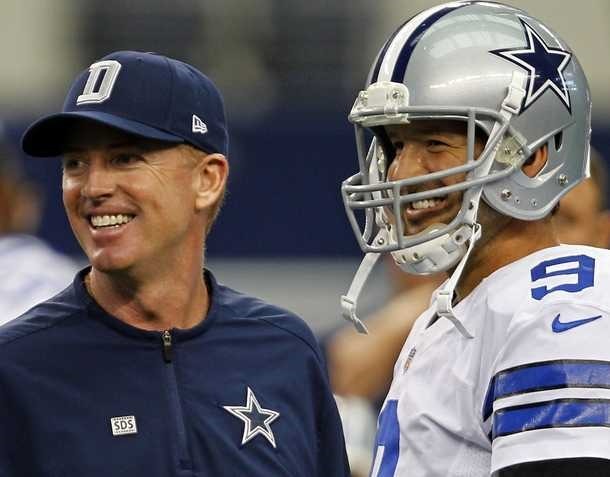 But he did not fit the 4-3 defense the Cowboys are moving to under Monte Kiffin. The Cowboys have another post-June 1 designation they could use, and right tackle Doug Free is a candidate. Free is scheduled to make $7 million and count $10 million against the cap in 2013. 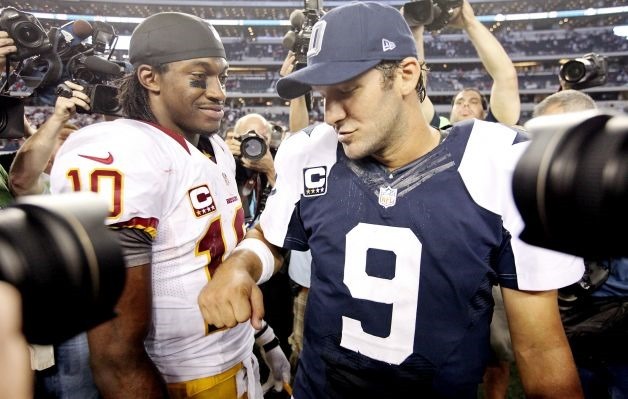 The spotlight will be squarely on the quarterbacks when the Dallas Cowboys and Washington Redskins square off Sunday night with the NFC East title on the line. But with forecasts calling for temperatures at FedEx Field to dip into the 20s, the focus could shift quickly from the Cowboys’ Tony Romo and the Redskins’ Robert Griffin III to running backs DeMarco Murray and Alfred Morris. Griffin was the catalyst for Washington’s 38-31 victory over Dallas on Thanksgiving, completing 71.4 percent of his passes for 311 yards and four touchdowns in one of the rookie of the year candidate’s top performances. But Morris, another rookie, did plenty of heavy lifting with a rugged 24-carry, 113-yard, one-TD showing. Indeed, Morris is fourth in the league with 1,413 yards on 302 attempts, a major reason Washington leads the league in rush offense at 162.3 yards per game. His big game against Dallas was the first of three 100-yard games in a row during a six-game winning streak that propelled the Redskins (9-6) from cellar dwellers to division leaders. Another big game could be in store for Morris, considering he’s going up against an injury-depleted defense that ranks 17th against the run (115.3 yards per game) and will be without five of its best run stuffers. “RG3 is the phenom that everybody loves, but this running back has been killing people and may be the most dangerous guy on the field,” Spears said in an eyebrow-raising comment given Griffin’s otherworldly skills. A sixth-round pick from Florida Atlantic, Morris is the latest late-round or undrafted gem at running back to be unearthed by Redskins coach Mike Shanahan. “Not too many rookies can handle the load he has,” Shanahan said of Morris, who has rushed for 10 TDs in the coach’s famed zone-blocking scheme. 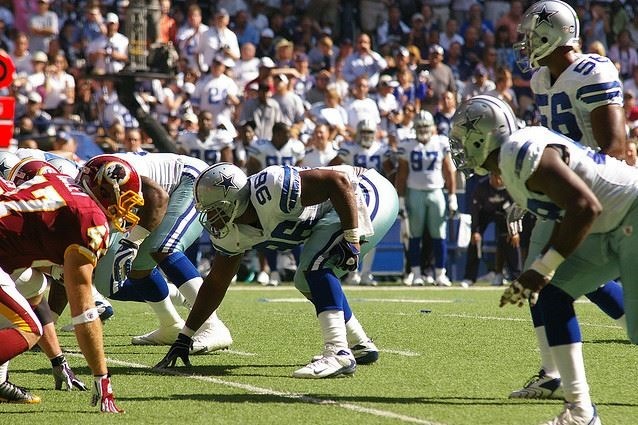 The Cowboys (8-7) were without Murray in the first meeting with the Redskins and gained only 35 yards on 11 attempts. In his four games since returning from a foot injury that sidelined him for six contests, the second-year pro from Oklahoma has rushed for 80-plus yards twice and has run for a TD in three of those outings. “The game kind of dictated them not being able to run the football as much on Thanksgiving,” said Washington linebacker London Fletcher, noting the Redskins led 28-3 at halftime after Griffin and Morris combined for four scores in the second quarter. Still, Murray managed only 40 yards on 11 carries and failed to score a TD in last week’s 34-31 overtime loss to New Orleans, a contest in which the Saints controlled possession for almost 65 percent of the game. The Cowboys are 31st in rush offense, averaging 77.7 yards per game. Washington is fifth in rush defense, yielding 95.5 yards per outing. “They are a very good run defense and have been for a number of years,” Cowboys coach Jason Garrett said while heaping praise on Redskins defensive coordinator Jim Haslett. With today’s overtime win, the Dallas Cowboys are 8-6, giving the club its 37th season with a finish of .500-or-better. Today’s win also gave Dallas wins in three straight games for the first time this season. Today was the second time this season Dallas played in an overtime game, and it was the club’s second overtime win of the season, 19th in franchise history. Dallas owns a 19-13 overtime record and a 6-4 home overtime record. The win also gave Dallas a 3-0 record this December, guaranteeing the club a winning record in the month for the first time since 2001 when the club went 3-2. Miles Austin caught a team-high seven passes for a team-best 79 yards. His receptions total today gave him 273 for his career to pass Billy Joe DuPree (267) for 12th in team history. Dan Bailey was true on both of his field goal tries tonight – 50 and 21 yards. His 21-yarder came with 13:41 remaining in the overtime period, giving Dallas the 27-24 win. Today was Bailey’s third game-winning kick of the season and the seventh of his career. His seven tie Rafael Septien for the most in team history. Dez Bryant caught four passes for 59 yards and a touchdown today. He upped his career receptions total to 187 to break a tie with Lance Rentzel (183) for 22nd in franchise history. Bryant’s touchdown catch today was his sixth consecutive game with a touchdown reception, the longest streak in his career, tied for the fourth-longest streak and tied for the second-highest streak figure in franchise history. For the season, Bryant has a career-high 10 touchdown receptions. This season is the 16th time a Cowboys pass catcher reached double-digit touchdown receptions and Bryant is the ninth different Dallas Cowboy to accomplish the feat. Brandon Carr improved his club-high interception total to three with his interception in overtime. Along with his pick last week, it was the first time in his career he had interceptions in consecutive games. Sean Lissemore notched his first sack of the season today to give him 3.5 for his career. Brady Poppinga has his first start as a Dallas Cowboy today as the club opened with five linebackers. Romo’s 341 yards today gave him 4,269 for the season, the fourth 4,000-yard season in his career, the fourth in team history and the second-most yards in a season in club books. Romo’s 341 yards today also gave him 25,103 for his career, making him the 64th quarterback in NFL history to reach 25,000 career passing yards. In reaching 25,103 career passing yards today, Romo passed Tommy Kramer (24,777), Bob Griese (25,092) and Ken O’Brien (25,094) for 62nd in all-time passing yards. In reaching the 300-yard mark with 341 yards today, Romo improved his club record of 300-yard games to 39. Dallas now holds a 25-14 (.641) record when Romo hits 300-plus yards. Romo’s 71.4 completion percentage today gave him eight games this season with a completion percentage at or above 70.0, second in a season in franchise history. Aikman has the club-high with eight in 1993. In leading the Cowboys to an overtime win while trailing in the fourth quarter, today was Romo’s fifth come-from-behind win of the season and the 18th of his career – improving his franchise-high. Romo’s five this season are also a franchise-high. Tied for second with four each are: Roger Staubach (1979), Troy Aikman (1990), Drew Bledsoe (2005) and Romo (2011). Marcus Spears had his first sack of the season today to give him 10.0 for his career. Anthony Spencer had 1.5 sacks today to give him 10.0 sacks for the season to improve his single-season career-best. Along with DeMarcus Ware’s 11.5, this season is the first time since 2007 the Cowboys had two defenders top 10.0-or-more sacks – DeMarcus Ware (14.0) and Greg Ellis (12.5). This season is the fifth time in franchise history Dallas accomplished the feat – 1983 (Randy White and Anthony Dickerson), 1984 (Randy White and Jim Jeffcoat), 1985 (Ed “Too Tall” Jones, Jim Jeffcoat and Randy White) and 2007 (Ware and Ellis). Jason Witten finished today’s game with five catches for 43 yards. For the season, Witten has 97 catches – the most in a season in his career, second-most in a season by a Dallas Cowboy and the fifth-most in a season by an NFL tight end. Witten’s 43 receiving yards today upped his career total to 8,832 and allowed him to pass Terance Mathis (8,809) and Terry Glenn (8,823) for 57th on the NFL’s all-time receiving yards chart. 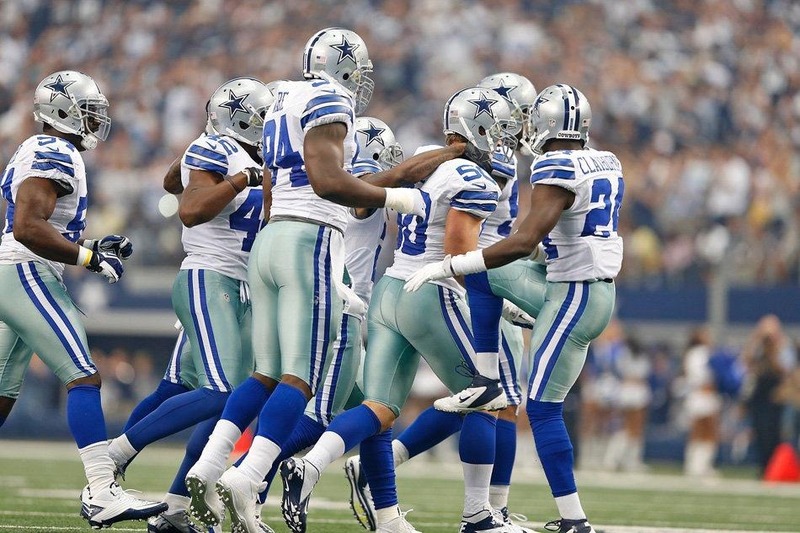 SPECIAL FEATURE: Dallas Cowboys 2012-2013 Roster – An in-depth look at … depth. IRVING, Texas – Boy, isn’t it a good thing the Dallas Cowboys didn’t dabble in reckless fantasy football roster machinations before this season began? Remember? Remember all the suggestions? Or, now that they have Brandon Carr and Mo Claiborne, along with Orlando Scandrick, no need for the disgruntled Mike Jenkins. Trade the guy. Right? Marcus Spears, too. Why, Kenyon Coleman is going to be the starter and you got Sean Lissemore and drafted Tyrone Crawford in the third round. What do you need an eight-year veteran in a backup role for? 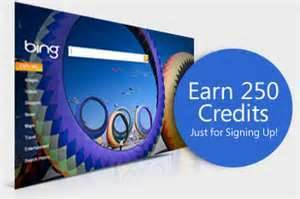 See what you can get for the guy. Oh, and let’s go one more. How many of you wanted Anthony Spencer out of here? Now come on, don’t be shy, raise your hands high. Get ’em up. Jones is preparing to start his fifth consecutive game of the season since Murray’s foot sprain, which nearly needed surgery, is still keeping him out of practice. And not only is he doubtful for Sunday’s game against the Cleveland Browns, but with only one semi-tough practice available during the short week prior to the Thanksgiving tradition, he’s possibly out for the Washington game four days later, too. Spears will start at his old left defensive end position Sunday against the Browns since Coleman has been placed on injured reserve following surgery to repair the torn triceps muscle he suffered in the win over Philadelphia. Crawford will be the next guy up there, since Lissemore still isn’t practicing thanks to the high ankle sprain he suffered against Baltimore a month ago. And the guy they kept on the practice squad, rookie free-agent Ben Bass, an after-thought signee just because they needed another body on the defensive line for that first rookie minicamp – and he was close, having grown up in Plano, Texas – he’s now their sixth defensive lineman for Sunday and will get some snaps. Then there is Jenkins. You know what? Wouldn’t it have been nice this past Sunday in Philadelphia, with Claiborne suffering from rookie-itis, becoming grabby and of all things for a corner, jumping off sides, if the Cowboys could have turned to the veteran cornerback to give the kid a series or two to collect himself? But no, Jenkins’ back was still weak, having suffered spasms, leaving him a game-day inactive. And the way things are going this week – he still hasn’t practiced – he’s likely inactive again. Looking at defensive stats, Spencer, the guy everyone wailed over after the Cowboys franchised him at $8.8 million to reserve his rights, is fourth on the team in tackles, his 53 behind only Sean Lee (77), Bruce Carter (66) and DeMarcus Ware (54). These stats also say he is second on the team (just where he finished last year) with 3.5 sacks, behind only Ware’s 9.5; tied for second with Ware with three tackles for losses (behind only Carter’s eight); and his 15 QB pressures is second behind Ware’s 20. And if not for Claiborne unnecessarily grabbing on the other side, Spencer would have had an interception this past Sunday against the Eagles, and maybe even returned it for a touchdown. The lesson, loud and clear? In football – and remember this isn’t basketball or baseball, it’s football – there is nothing wrong with having a couple of good guys at the same position since there usually is enough plays to go around. And, as you’ve been reminded when watching the Cowboys this season, people do get hurt. A lot. “I mean all that is foresight from the Joneses, their communication,” Cowboys defensive coordinator Rob Ryan said. “People say whatever they say, they run the team, sure, but they are also smart. It’s unbelievable. With seven games remaining, the next two in a five-day span, the Cowboys already have three season-opening defensive starters on injured reserve (Barry Church, Lee and Coleman). They are just getting Lee’s backup, Dan Connor, back after missing two games with nerve damage in his neck (stinger) and have placed one of his called-up backups, former practice squadder Orie Lemon, on IR. And how about this? Nine games into the season, 11 defensive players have missed a total of 37 games, and that total will skyrocket since Lee, Church and Coleman definitely will miss seven more each. That’s 58, and it doesn’t appear at this point that Lissemore is ready to return and who knows about Jenkins? Rookie Matt Johnson? The fourth-round draft choice has missed all nine games and was just placed on IR. On offense, three guys, Murray, Phil Costa and his backup Ryan Cook have totaled 11 missed games, and Murray could miss two more. Costa (high ankle sprain) will also miss at least two more and the Cowboys are highly uncertain if Cook (knee), who has yet to practice this week, will be ready to play Sunday. And by the way, let’s not forget punter Chris Jones also landing on IR four games ago, assured of missing a total of 11 this season. I mean, the punter for heaven sakes. The Cowboys are ridiculously testing this next guy up notion, but hey, what you going to do? And guarantee you they aren’t the Lone Rangers when it comes to injuries in the National Football League. They are rampant, and why you never, ever should consider depleting a position of strength … if … you happen to be lucky enough to have a couple three at the same spot and can afford them with the salary cap. “We have been recycling guys all year,” Spears said the other day, realizing Jay Ratliff missed the first four games of the season, Spencer missed Games 4 and 5, Lee, the defensive captain, along with its heart and soul, will end up missing 10 of 16, Church will finish with 13 missed games, Lissemore likely with at least six and now Coleman the final seven. But so far defensively, the Cowboys have been duck-taping these positions with multiple solutions. Take safety. Danny McCray was the next guy up, but they also have relied on Carr and Jenkins to move from their corner positions at times on the nickel and dime packages, and also have brought on veterans Eric Frampton and Charlie Peprah to play roles. At linebacker, without Lee and then immediately Connor, they sign Orie Lemon from the practice squad and Ernie Sims off his couch. At defensive end, they now return Spears to his starting spot, play Crawford more and sign Bass off the practice squad, a guy another team came calling for a few weeks back. At running back, the Cowboys simply insert Felix Jones, but with him trying to play through a bum knee and shoulder, they lean on Tanner and sign Dunbar off the practice squad and get the rookie ready for snaps. At center, the team first for Cook when Costa was injured – the first time – when it became obvious David Arkin wasn’t good enough to sufficiently back up the position. Cook can’t go Sunday (listed as doubtful), the Cowboys activated Kevin Kowalski off PUP, which necessitated placing Matt Johnson on IR to make room. At punter, Brian Moorman fortuitously was released by Buffalo when Chris Jones first injured his knee, and is signed the next day. And at corner, with Jenkins missing last week, they sign Vince Agnew off the practice squad and basically let Claiborne take his lumps at Philly. This is exhausting, isn’t it? And still there are seven games to go? Fortunately for the Dallas Cowboys, they have a few good men with quality heads on their shoulders. “My mindset from the beginning is you need to know all three positions,” said Mackenzy Bernadeau, who realized when he returned from offseason hip surgery of his own a couple of weeks into training camp that he needed to learn both guard positions and the center position as well, which he has only played in a preseason game. 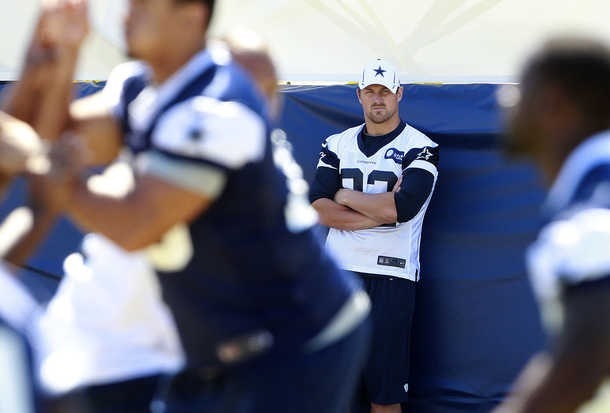 And then there is Spears, who could have pouted after Ryan brought Coleman with him to Dallas, immediately bumping Spears off the position where he started in his first six seasons with the Cowboys into a backup role. Didn’t happen. That’s some right stuff there, all of it, including every one of those insightful decisions made nearly 12 weeks ago to preserve the depth now available for this current excavation project from that 3-5 hole. IRVING – First safety Barry Church went down. Then linebacker Sean Lee. On Sunday, defensive end Kenyon Coleman became the third defensive starter for the Cowboys to suffer a season-ending injury, tearing his left triceps muscle in the third quarter of Dallas’ 38-23 victory over Philadelphia. 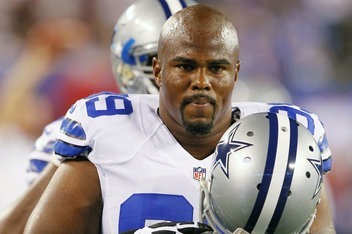 The Cowboys received the sobering news about Coleman’s status after he underwent an MRI. The 11th-year veteran will undergo surgery Tuesday and will be placed on the team’s injured reserve list, according to head coach Jason Garrett. Fortunately for the Cowboys, they have plenty of candidates, including 2005 first-round pick Marcus Spears, rookie Tyrone Crawford and injured veteran Sean Lissemore, who has missed the last four games with a high-ankle sprain. Garrett said the Cowboys are “hopeful” Lissemore will be cleared to return this week. But in the event that he isn’t, the Cowboys already developing a contingency plan. In fact, Garrett said the team will likely promote one of their two practice-squad defensive linemen, Robert Callaway and Ben Bass, to the active roster this week. “We anticipate making a move to add to the defensive line and those are the logical ones,” Garrett said. For the Cowboys, it’s uncertain how the absence of Coleman will affect on the defense. The 33-year-old defender made 15 tackles and forced one fumble in 167 defensive snaps while frequently being spelled by Spears, Lissemore and Crawford at left end. IRVING, Texas – The Cowboys were without two of their top three wide receivers, a starting defensive end and their starting running back for Sunday’s game at Atlanta was limited with a knee injury. Wide receiver Dez Bryant did not practice because of a sore hip but he is expected to be ready for Sunday’s game at Atlanta. Bryant was hurt as he came crashing down on the turf on a near game-winning touchdown catch Sunday against the New York Giants. Kevin Ogletree, the team’s No. 3 receiver, did not practice because of a hamstring strain. He was at practice in pads during the open portion of the session to the media. 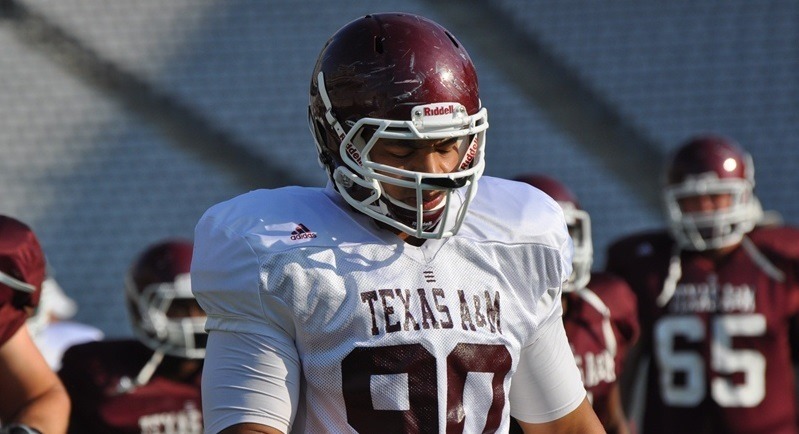 Defensive end Jason Hatcher did not practice because of a bruised shin. While he is expected to be OK for Sunday’s game, Marcus Spears worked with the starters on Wednesday. Felix Jones was limited with a bruised knee. He was limited in two of three practices last week but was able to play a full game against the Giants. Linebacker Dan Connor did not practice because of a stinger that is likely to keep him out of the Falcons’ game. The Cowboys would turn to Orie Lemon and Ernie Sims to replace Connor, who was already subbing for an injured Sean Lee. Running back DeMarco Murray (foot), center Phil Costa (ankle), defensive end Sean Lissemore (ankle) and safety Matt Johnson (hamstring) did not practice, as expected. IRVING — For the first time with Tony Romo as quarterback, the Cowboys are coming off back-to-back games with under 300 yards. They did not rush for 50 yards in either game. They couldn’t score more than one touchdown in either game. Romo’s passer rating sunk to the mid-70s. But they got a split out of the two games against Seattle and Tampa Bay, so at 2-1 going into tonight’s game against the Chicago Bears, the Cowboys’ belief in their offense remains. "My confidence doesn’t wane," coach Jason Garrett said. "I believe in the players. I believe in what we do. We just have to do it better." The 2-1 record is what keeps Romo going, too. After throwing for 307 yards and three touchdowns in a sparkling season opener against the Giants, he has thrown only one touchdown pass and has been intercepted twice. But he is not frustrated. "No. It’s about winning and losing," he said. "That’s what it comes down to. You want to execute to the highest level each week. But at the same time, we know that getting a win is as important as anything else. And all the other stuff is just about getting better. "But if you lose, you’re still going to have the same process. If you win, you still have the same process about trying to figure out how to be better the next week as a player, as a unit, as an offense or defense, whatever it is." Garrett does make an allowance for the Seahawks and Buccaneers’ effective defensive lines, which gave headaches to the Cowboys’ still-developing offensive line. But he said those won’t be the last two good fronts the Cowboys face, and they’ll see another one tonight when the Bears bring one of the NFL’s most productive front four in terms of sacks. "We played some good defenses. There’s no question about that," Garrett said. "They are good on the front, they have good rushers and good linebackers, and each of those teams have good cover guys. But you’re going to face that every week. There are 13 other teams that are good in those areas, too." 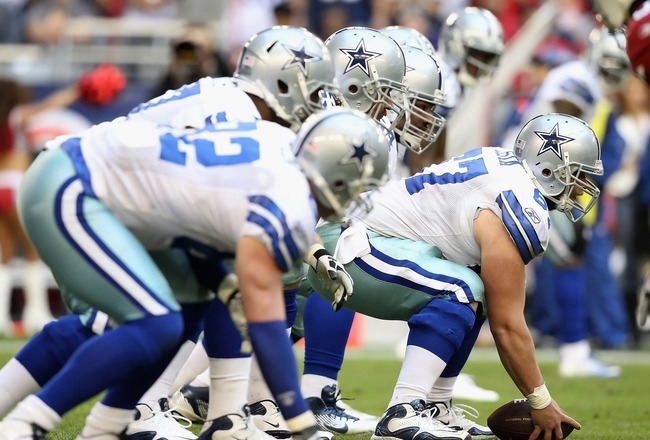 For the Cowboys, the troubling spots are penalties and the way they are executing plays. They have 12 false starts, five holding penalties (plus one declined) and two delay-of-games in three games. Romo has been sacked seven times. On top of that, his favorite target, tight end Jason Witten, has five drops. That is a normally reliable — and important — part of the Cowboys offense. "It’s a combination of a lot of things," Romo said. "Penalties, negative plays. We need to do the little things better. That will help us a lot because we’re already doing enough good things. We just need to minimize the stuff that you can control. The stuff that should be stuff that we’re good at." The Cowboys scored in the 30s or more four times last year. It was five times in each of the previous two years, four in 2008 and eight times in 2007. The last time they went over 30 was at Tampa Bay last year, five games ago. Could one good scoring half or game spring the Cowboys? "Sure, but I don’t think we like to think about it that way: ‘Hey, let’s go score 40,’" Garrett said. "Let’s go execute ball plays. If we execute ball plays and do things the right way on a consistent basis, our offense will be the consistent offense and the good offense that we’ve seen in the past." And paired with what right now is the league’s No. 1 defense? Defensive end Marcus Spears can imagine. "We’re 2-1, so they’re doing something to put us in position to win games," he said. "And we just want to continue to support them. But when we’re rolling and they’re rolling and our special teams are rolling, we’re tough to beat. We see their work. There’s no criticism from us. We see what type of guys are over there. When it really starts firing like a well-oiled machine, it’ll be something beautiful to watch." The Dallas Cowboys listed five players as out for Monday night’s game against the Chicago Bears, but they stopped short of that with punter Chris Jones, listing him as doubtful. That still means the punter, who has a strained knee after being hit last week against Tampa, has a 25 percent or less chance of playing. But the Cowboys apparently are keeping open the possibility for him for now. Linebacker Anthony Spencer, who led the team in tackles last week, is questionable with a shoulder injury. Listed as out were defensive end Kenyon Coleman (knee), center Phil Costa (back), safety Matt Johnson (hamstring) and linebacker Alex Albright (neck). Fullback Lawrence Vickers, who missed practice Friday, was back with full participation Saturday and is listed as probable. Others listed probable are Miles Austin (hamstring), Sean Lissemore (chest), Gerald Sensabaugh (calf), Marcus Spears (knee), DeMarcus Ware (hamstring) and Kyle Wilber (thumb). The Cowboys are No. 1 in defense. Just like defensive coordinator Rob Ryan predicted they would be a year ago when he got the job. But what does it mean? Strictly speaking, that the Cowboys have allowed the fewest yards of any team in the NFL. But there is some meaning in it psychologically, Jason Hatcher says. “It makes you feel good to be a part of it,” he said. “Hopefully, we can keep playing the way we have been. Hopefully, we can keep just putting games together each and every Sunday. It makes me feel good just to be starting on a No. 1 defense. So can the Cowboys keep it up? 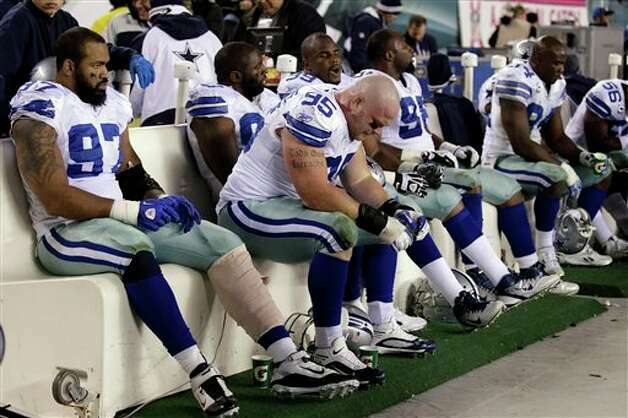 Five Dallas Cowboys players, including three starters, have been ruled out of Sunday’s game because of injuries: nose tackle Jay Ratliff (ankle), defensive end Kenyon Coleman (knee), center Phil Costa (back), linebacker Alex Albright (neck) and safety Matt Johnson (hamstring). Ratliff, Coleman and Costa are starters. A fourth starter, safety Gerald Sensabaugh (calf), is doubtful and did not participate in Friday’s workout. Defensive tackle Marcus Spears took part in limited drills and is questionable. Players listed as probable included receiver Miles Austin (hamstring), safety Barry Church (quad), receiver Andre Holmes (knee), cornerback Mike Jenkins (shoulder), linebacker Sean Lee (hip), linebacker DeMarcus Ware (hamstring), linebacker Kyle Wilber (thumb) and tight end Jason Witten (spleen). Lee was limited in Friday’s drills. The rest participated fully. DID YOU KNOW? 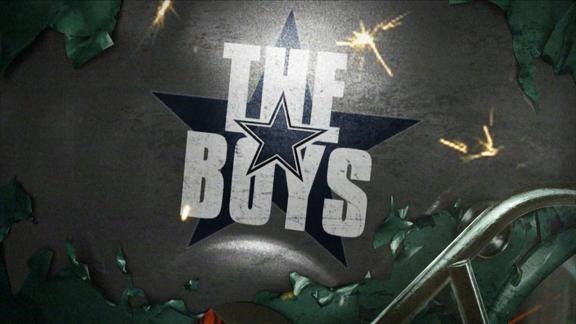 The Boys Are Back blog provides Dallas Cowboys AND opponent injury updates from the team practices and those officially reported to the NFL. See the Injury Updates page at the top of every page or look on the right side of any post. SEATTLE — The Dallas Cowboys want to be taken seriously in the NFL. They don’t want to be known as a team with all the hype that doesn’t have substance. The Cowboys didn’t respond well Sunday against the Seattle Seahawks. After a 27-7 defeat at Century Link Field, one thing is clear: The Cowboys are not ready for the big stage. There were five drops, two turnovers and two costly penalties that hurt the Cowboys. It wasn’t a terrible performance, but the Cowboys came up small after such a statement victory 11 days ago over the defending Super Bowl champion New York Giants. What it means: The Cowboys failed to take any momentum with them following the season-opening victory against the Giants. It was an opportunity for the Cowboys to maintain a one-game lead over the Giants and remain tied with the Philadelphia Eagles in the NFC East. Now just two weeks into the season, the Cowboys raised questions about their ability to become an elite team. Defense doesn’t respond: Yes, it was hard to stop the Seattle running game, but this was bad. The Cowboys failed to pressure rookie quarterback Russell Wilson on a consistent basis and didn’t stop the run overall. Marshawn Lynch rushed 26 times for 122 yards and one touchdown. Wilson completed 15 of 20 passes for 151 yards and a touchdown. Golden Tate laid a hit on Sean Lee, knocking him briefly from the game, and DeMarcus Ware was also hit hard on a run play. There was no response from the defense, but it’s not totally to blame for this one. It did allow just six first-half points, but it’s a 60 minute game. Despite losing several players to injuries, the D didn’t play well in the second half. Offense struggles: It’s not Tony Romo’s fault that tight end Jason Witten dropped three passes or Dez Bryant did two, but overall the run game didn’t get going. 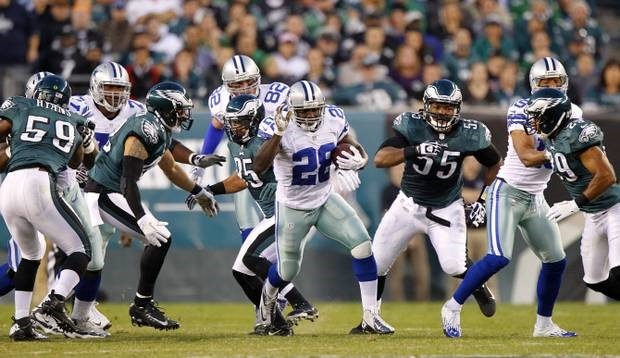 DeMarco Murray rushed for just 44 yards. The protection was there at times for Romo, but he just couldn’t get to his prime receiving threats in Miles Austin, Bryant and Witten. Romo did overthrow a wide-open Bryant and had miscommunication with other receivers. He had a loud discussion with receiver Kevin Ogletree after one series in which receivers coach Jimmy Robinson stepped in. Time to move on from Felix: We’re not saying cut the backup running back, but Felix Jones’ fumble on the opening kickoff and his questionable decisions on kick returns, leaving 5 and 8 yards deep, didn’t look good. The Cowboys have to find a playmaker on this unit. Jones returned five kicks for a 21.8 average and didn’t make an impact. Injuries: Gerald Sensabaugh (calf), Alex Albright (stinger), Kenyon Coleman (unknown), Barry Church (quad), Lee (checked for concussion) and Marcus Spears (leg) suffered injuries. Lee and Spears returned. What’s next? 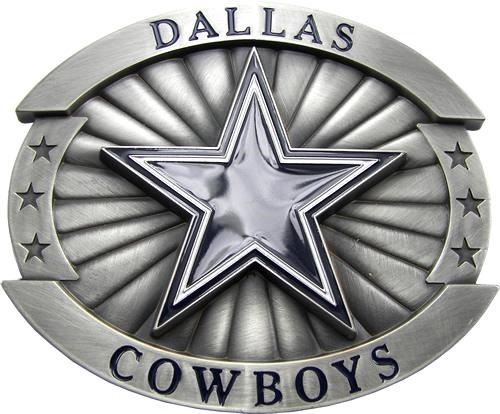 : The Cowboys will have their home opener next Sunday at Cowboys Stadium against Tampa Bay. 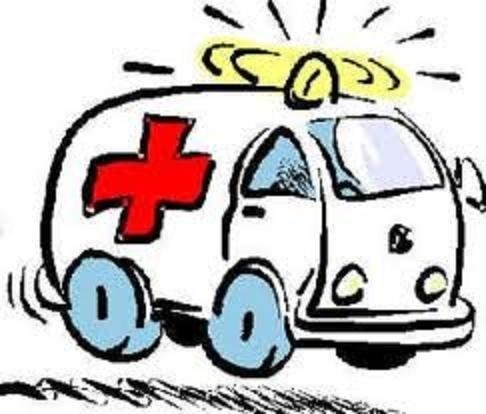 The health of several key players will have to be evaluated. 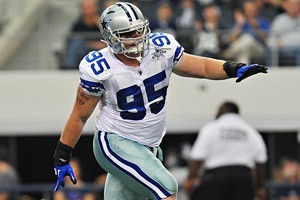 IRVING, Texas – The Cowboys have reached a three-year extension with defensive end Sean Lissemore. Lissemore’s deal has $3.1 million guaranteed and includes a $2 million signing bonus. "The Cowboys like him and Sean likes being there," Lissemore’s agent Wes Bridges said. "Quite frankly, Sean had a decision to make and see if he wanted to wait it out and go to next year, but he didn’t want it to be a distraction and wanted to just play ball. He wanted to get a deal done and get it done this year." Sean Lissemore has yet to start a game in his NFL career. Obviously, the Cowboys are figuring he will at some point. Lissemore has become one of their top substitutes and the coaches view him as a future starter. He was credited with two tackles in the season-opening win at the New York Giants, playing end and nose tackle. He played in every game last year and had 39 tackles, two sacks, two tackles for loss and five quarterback hurries. That’s why they are making sure he stays in the fold for a while. Lissemore’s original four-year deal went through the 2013 season, but the Cowboys obviously want him in the mix much longer than that. Lissemore is currently a backup on the defensive line, but his versatility to play both end and tackle is valuable in the 3-4 scheme. The Cowboys have some aging veterans on the defensive line in Kenyon Coleman (33), Marcus Spears (29) and Jay Ratliff (31). Lissemore just turned 25 on Tuesday. Drafted in the seventh round out of William & Mary, Lissemore played in just two games as a rookie before suffering a season-ending ankle injury. But last year, Lissemore played in all 16 games, finishing 12th on the defense with 39 tackles. He had two sacks, equaling Jay Ratliff’s total despite playing about 400 less snaps. In fact, defensive line coach Brian Baker called Lissemore his most productive player “per snap” in 2011 and said he would get more snaps this season. And apparently, a few more after this one as well. It’s finally coming to an end. The Miami Dolphins visit the Dallas Cowboys at Cowboys Stadium tonight to close it out. Stephen McGee vs. Rudy Carpenter: The Cowboys are thinking about going with two quarterbacks. Tony Romo and Kyle Orton have guaranteed roster spots. After that, McGee, the third quarterback since 2009, and Carpenter, who is trying to make the active roster, will get a shot Wednesday night. McGee has been inconsistent this summer in camp practices and in three preseason games. Carpenter has led the third unit on a touchdown drive. McGee is the better talent, but roster issues could force the Cowboys to go with just two quarterbacks, unless someone emerges. Claiborne and Spears should play: First-round pick Morris Claiborne and veteran defensive end Marcus Spears should play a little on Wednesday. Here’s why. Claiborne, who missed the first preseason game with a knee sprain, needs to get more snaps before getting ready for the New York Giants on opening night. Spears is getting snaps with the second team and will most likely get a few snaps just to either keep him sharp or see if the Cowboys still want him on the team. What’s uncertain? : The third quarterback for one thing. And in reality, it doesn’t matter who the No. 3 receiver is. 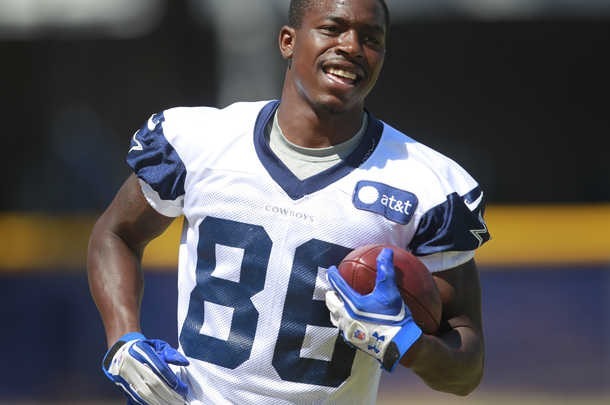 Kevin Ogletree, Dwayne Harris and Cole Beasley will make the team, but who gets the sixth receiver spot is the question. Andre Holmes? Danny Coale? Tim Benford? The swing tackle is Jermey Parnell, but who out of Pat McQuistan, Daniel Loper, Derrick Dockery and Ronald Leary make the team? Orie Lemon, Shaun Chapas, Jamize Olawale, Adrian Hamilton, Lance Dunbar and Akwasi Owusu-Ansah are competing for a some of the final three or four roster spots. The series with the Dolphins: The Cowboys lead the preseason series 4-2 and lost the last meeting 17-3 in South Florida. In that game, Sept. 1, 2011, receiver Raymond Radway fractured his leg on a pass in the end zone at the end of the game. Radway missed the regular season. He was cut this week by the Cowboys. Connections: Dolphins general manager Jeff Ireland was a former executive with the Cowboys, and Brian Gaine, the Dolphins’ assistant general manager, worked in the personnel department with the Cowboys. At one point the Dolphins had many former Cowboys. Now, there are only a few. Linebacker Kevin Burnett, for one, plays for the Fins. Parking, parking, parking: For the second consecutive time, the Cowboys and Texas Rangers are playing at nearly the same time. Rangers first pitch is around 6:05 p.m. CT. Kickoff is scheduled for around 7:30 p.m. CT. Cowboys Stadium parking lots open at 2:30 p.m. East Plaza is open at 3:30 p.m. and stadium gates to all plazas open at 5:30 p.m. Fans who have pre-purchased parking in the Ranger Lots A-B and M will have their passes honored. Stadium officials ask fans to get their early due to the Rangers game. 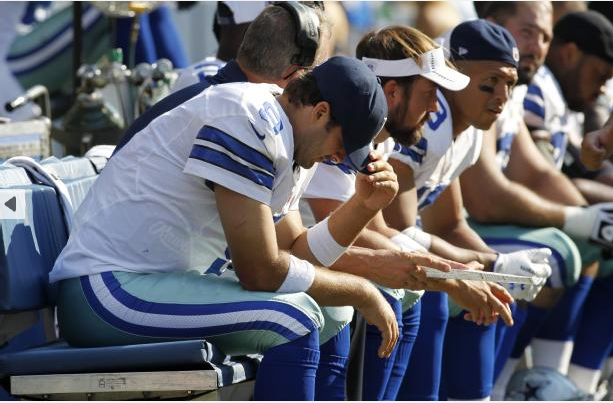 By the way: Regular season starters like Tony Romo, DeMarco Murray, Brandon Carr and Sean Lee won’t play. Just telling you. Local TV and radio: The game kicks off at 7:30 p.m., on KTVT/Ch. 11 (CBS). About four months ago, making the team wasn’t even on the radar. He probably didn’t even know about the practice squad and the details surrounding it either. All Ben Bass wanted to do was show up on film. For three days, all he had was a jersey number and was sharing a locker with other rookies. He wasn’t signed or promised to sign. He was among 15 hopefuls on a tryout basis only, mainly here so the Cowboys could conduct a full weekend of practices in the rookie minicamp. But somehow in the course of three days without pads, the defensive lineman from Texas A&M showed the Cowboys just enough to be intrigued. When a roster spot opened up, they signed him with the hopes of watching his development this summer. Fast forward four months and as the Dallas Cowboys prepare for tonight’s preseason finale against the Dolphins, Bass (6-5, 283) finds himself as one of a handful of players right on the bubble to make this team. Yes, the practice squad is a possibility, but as this point, it’d be a consolation prize for Bass, who seems to realize just how close he is to reaching his goal. “When I first got here, I would say I had a practice-squad mentality. I was a tryout guy,” Bass said. “But I am where I am now, and I don’t know exactly where that is, but I know I have a shot to make the team. It’s safe to say Bass’ family is already extremely proud of his accomplishments. The Plano West and then Texas A&M standout has come a long way in a short time. Just the simple fact that he is even on the radar is somewhat surprising considering the depth on the defensive line. Veterans such as Marcus Spears and Kenyon Coleman are far from locks to make this team, especially Spears, a former first-round pick. Clifton Geathers and Sean Lissemore had a lot of hype around them this offseason and third-round selection Tyrone Crawford is obviously a player that will be heavily in the mix. But Bass has quietly put together a nice training camp and preseason, which included his debut in Oakland where he was incredibly active in the second half against the Raiders. He recorded five tackles, including two for loss, with a sack and three quarterback pressures in helping the Cowboys preserve a shutout in a 3-0 win on Monday Night Football. Bass has also played well in reserve roles the last two games against San Diego and Miami. But, he says the turning point for him didn’t come in one of the last three games, or even at training camp. In fact, it was about three months ago when he was sitting in the locker room at Valley Ranch after a workout. Bass said Ratliff told his own story of being a seventh-round pick in 2005 who has not only overcome being a late-round selection, but has defied the odds of being a relatively smaller nose tackle in a 3-4 defense, making the Pro Bowl four straight years. “When someone of his level tells you that you can make the team, you start to believe it and start to play like you belong here,” Bass said. Bass has definitely shown he belongs. He’s hoping it’s just enough to stick around on the 53-man roster. But as long as he sticks around, period, Bass said he’ll be excited. IRVING, Texas — Go ahead and put most of these names in ink. There are a handful of roster spots up for grabs entering Wednesday’s preseason finale, but the vast majority of the decisions will have already been made. The toughest calls come at the last spots for receiver, offensive line, defensive end and how to handle Matt Johnson’s situation (great potential, but can’t count on him this season). If Stephen McGee wants to stick around for a fourth season, he needs to give the front office and coaches good reason to keep him with a strong performance in the preseason finale. At this point, it makes more sense to try to put Rudy Carpenter on the practice squad. Tanner didn’t help his cause with a blown assignment in pass protection that almost got Orton killed against the Rams, but he’s a solid No. 3 back and core special teams player. North Texas alums Lance Dunbar and Jamize Olawale are good practice squad candidates. Chapas, a fixture on first-team special teams units Saturday, is likely to last only one week on the roster. An extra fullback can help mask the lack of depth at tight end in case Jason Witten misses the season opener. The Cowboys could opt to go with rookie Andrew Szczerba as temporary insurance instead of Chapas. It comes down to Coale vs. Andre Holmes, the Jerry Jones pet cat who reported to camp in poor shape and has shown no consistency. Holmes has more upside. Coale, who has hardly been on the field due to injuries, is more likely to contribute this season. 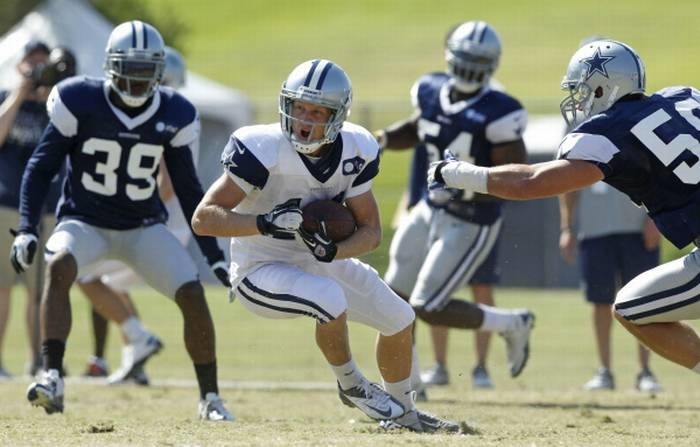 The Cowboys envisioned Coale as a Sam Hurd-type No. 4 receiver/special teams stud (without the felonious side business, of course) when they invested a fifth-round pick in him. Is being a third guard good enough reason to keep Derrick Dockery? He probably wouldn’t be active on game days due to his lack of position versatility. McQuistan has experience at tackle, guard, blocking tight end and has even worked some at center. Addressing the lack of depth at center would be a wise move after Week 1. Clifton Geathers (6-foot-7, 325 pounds) looks the part, but he hasn’t done enough to push Coleman or Spears off the roster. The Cowboys can save a little money by cutting (or perhaps trading) one of the veterans, but keeping both gives them quality depth in the defensive end rotation. Lemon is a guy you notice a lot in practices and preseason games. He has developmental potential and can contribute now on special teams. 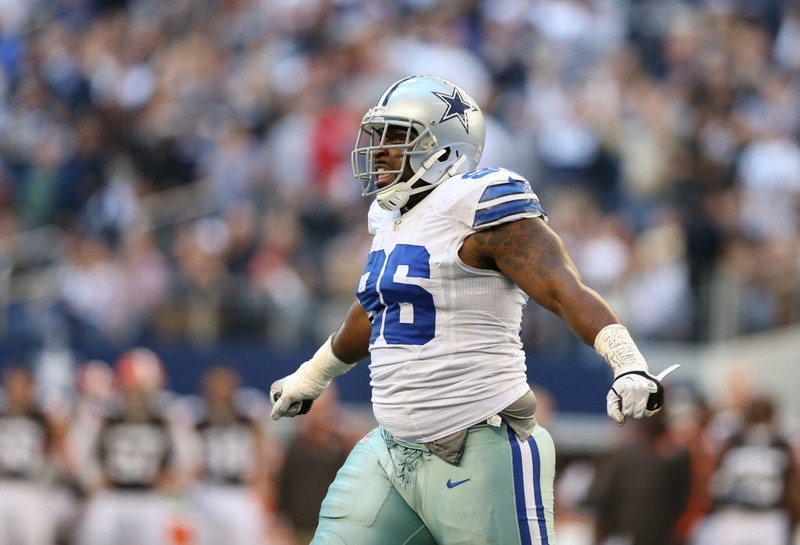 Can the Cowboys get pass rusher Adrian Hamilton through waivers onto the practice squad? It appears that they will try. He’s not getting reps with the first-team special teams units, a strong sign that they don’t see him as a fit for the 53-man roster this season. Jerry Jones has said there is a roster spot for Jenkins, meaning the Cowboys don’t plan for him to start the season on the physically unable to perform list. That doesn’t mean he’ll be ready for the season opener. What to do with fourth-round pick Matt Johnson? He has hardly practiced because of a hamstring injury and he strained the other hamstring in his preseason debut Saturday night. The Cowboys could try to get him through waivers to the practice squad or put him on injured reserve, essentially making this a redshirt season. With such limited practice time, putting him on the 53 would be a waste of a roster spot. No drama here after rookie deep snapper Charley Hughlett’s release Monday. The Cowboys were willing to pay more for the proven commodity. The Cowboys could go heavy at defensive line by carrying eight players at that position when the 53-man roster is determined, but one veteran could be in jeopardy of not making it. Marcus Spears, who has played on the second team the last two seasons, is a productive player who at times seems better than Kenyon Coleman, the other veteran starting end. "I’m not worried about that," Spears said about his roster status. "That’s for you guys to talk about. I got to go out and play as well as I can and perform when I’m out there and let the chips fall where they may." The interesting thing about Coleman is sometimes you don’t realize he’s making plays because he’s a run stopper and his goal is to keep the tackle from pushing him downfield. In three preseason games, Coleman has zero tackles. Spears has been pretty active around the ball this preseason, given his seven solo tackles. In his eight-year career, Spears had always been a starter — prior to last season, when Coleman, signed in free agency because he knows defensive coordinator Rob Ryan’s scheme, took over one starting end spot and Jason Hatcher grabbed the other. It appears with some younger linemen with position flexibility — such as Sean Lissemore — there could be a chance Spears’ status is in question. However, with nose tackle Jay Ratliff’s status for Week 1 in question because of an ankle injury, the decision to cut Spears could prove to be a difficult one. "You got to do what you gotta do," Spears said. "You gotta do your part. That’s what I’m called to do right now and I focus on doing that and playing well when I’m in the game. … You go with what the coaches decide to do when you’re in there and you try and perform." As a player and a person, defensive end Marcus Spears says he has matured. But his perspective on his job security hasn’t changed during his tenure with the Cowboys. “I come in every year with the mentality I can lose my spot and be beat out,” Spears said. In past seasons, that never seemed to be a legitimate possibility for the 2005 first-round draft pick. But now it is. The Cowboys’ defensive line is stacked with quality players — many of whom are younger and cheaper than Spears. 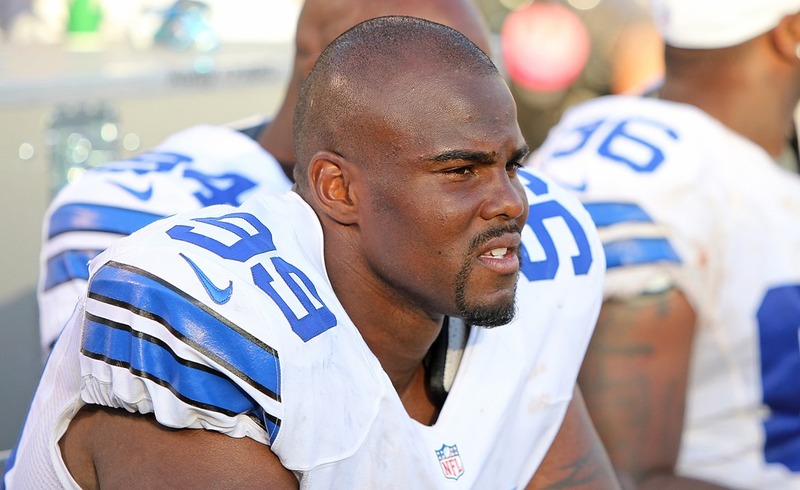 “Everybody is playing for a roster spot right now,” said end Jason Hatcher. As a result, the five-year, $19.2 million contract Spears signed in 2011 could be the deciding factor in whether he stays with the Cowboys. At the very least, it will be a consideration. That was evident against Oakland last Monday, when Spears made an impact. In the 3-0 victory, he collected four tackles, including one that resulted in lost yardage. Who’s not playing: It would take you an hour to figure out who’s not playing for the Cowboys. 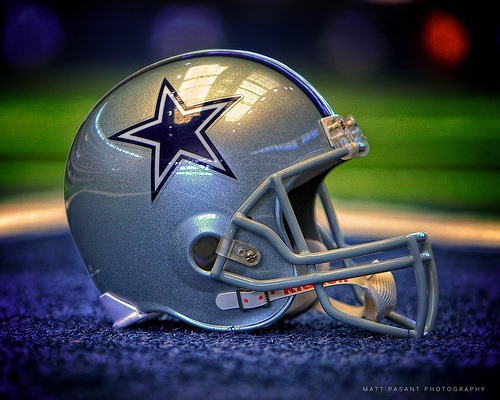 We give you the highlights: OLB DeMarcus Ware, OLB Anthony Spencer, WR Miles Austin, TE Jason Witten, G Nate Livings, NT Jay Ratliff and C Phil Costa are the projected starters who will miss the game. The starters play how much, again? 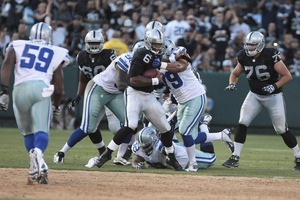 : Jason Garrett wanted the first-team offense to go about 8-to-10 plays in the preseason opener at Oakland. Tonight, maybe into the second quarter, with center David Arkin expected to go into the third, maybe fourth quarter. When Arkin comes out, expect Harland Gunn to take over the center snaps. With second-team tackle Jeremy Parnell out, Jeff Adams slide in and take some snaps. Safety Barry Church played with the second team a little bit at Oakland. It could continue again. Who needs to play well: It’s easy to say everybody, but based off the Raiders game and the last two days of practice, we’ve come up with a few names: WR Raymond Radway, CB Morris Claiborne, DE Marcus Spears, DE Kenyon Coleman, CB Mario Butler and G Ronald Leary. Mo debuts: First-round pick Morris Claiborne will make his NFL debut at the Chargers. He’s not sure if he’ll start, but it wouldn’t surprise anyone if the Cowboys come out in a three-cornerback setup with Orlando Scandrick and Brandon Carr alongside Claiborne. The rookie needs the snaps against different competition and he might play the entire first half. He’s battled Dez Bryant, Kevin Ogletree among others for nearly two weeks of practices, when he’s been healthy, so it will be interesting to see him against someone else. About the series: If you’re scoring at home, this is the 14th meeting between the teams. Dallas holds the preseason series advantage at 7-6. The Chargers won the last meeting, in 2009, 20-17. Preseason game No. 2 kicks off tonight at Qualcomm Stadium against San Diego Chargers and for some players their time to make an impression is running out. Alex Albright – He was everywhere against Oakland on Monday, credited with a game-high nine tackles, and he will start tonight because of DeMarcus Ware’s absence due to a slight hamstring strain. Albright is a virtual lock to make the team, but he can show he can be a regular contributor on the defense with a good performance. He will also play some inside linebacker again, which would help the team’s ability to carry more players at other positions when they make the final cuts. Mario Butler – After a so-so offseason, Butler has done much better when the pads came on. He is not the fastest or quickest, but he has a knack for being in the right spot at the right time. He understands his limitations and stays out of trouble. He can play in the slot some and has taken some turns at safety. As the Cowboys ponder how many corners and safeties to keep, Butler could be that swing guy the way Alan Ball was a swing guy for a few seasons. Ronald Leary – He came in with a lot of acclaim as an undrafted free agent but he has leveled off over the last week of camp. Against Oakland he tired and did not fire off the ball as well as he had been earlier in camp. The Cowboys have guaranteed him $214,000, a high number for an undrafted player, so he should make the team, but with a good showing tonight he could still work his way into the starting lineup or at least one of the active offensive linemen on Sundays. Kevin Ogletree – Nobody likes hearing this but Ogletree has had a nice camp. Of the guys competing for the No. 3 receiver spot he has the most ability to play as a starter should something happen to Miles Austin or Dez Bryant. He does not help much on special teams but if he can prove to be reliable and make plays regardless of the quarterback tonight, he can cement a spot on the roster. Even with Andre Holmes good outing vs. the Raiders, Ogletree is still the leader for the No. 3 spot. Mana Silva – He was a late-season pickup in 2011 after he was signed of Buffalo’s practice squad and had four special teams’ tackles. He had an interception to clinch the win at Oakland on Monday and Rob Ryan is intrigued about this prospect. 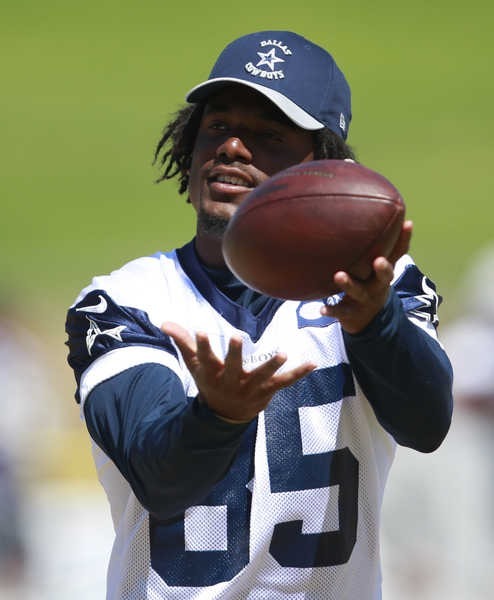 Silva, however, will need to make his mark on special teams to make a dent because the Cowboys still like Matt Johnson’s potential even though the fourth-round pick has taken part in one full-padded practice in camp. Among the Dallas Cowboys’ injured players, coach Jason Garrett said today he anticipates having offensive lineman Mackenzy Bernadeau, defensive tackle Marcus Spears and cornerback Teddy Williams play in Monday’s game against Oakland. Bernadeau is scheduled to take part today in his first padded practice since returning from off-season hip surgery and a knee ailment. Spears and Williams have been cleared from concussions. Garrett said he has not ruled out cornerback Morris Claiborne (knee), although Claiborne said trainers were pointing him more toward the San Diego game on Aug. 18. Garrett also has not ruled out receiver Danny Coale (foot) or tight end John Phillips (ankle) for the contest. Defensive tackle Jay Ratliff (foot) and safety Matt Johnson (hamstring) are not expected to play, Garrett said. Defensive tackle Sean Lissemore is 6-foot-3 and weighs 303 pounds. He does not believe he should be moved off the line of scrimmage in short yardage. So that must explain the scowl he had on his face after practice. So far, Lissemore must be doing it well. He is getting a lot of work at right defensive end while Marcus Spears is out with a concussion. Lissemore, a seventh-round pick out of William & Mary in 2010, is thriving. He has been one of the most physical players on the defensive line, and he was competing hard in Tuesday’s goal-line and short-yardage drills, the emphasis of the practice. “It was pretty physical,” he said. He said he takes seriously his responsibility to hold his ground.